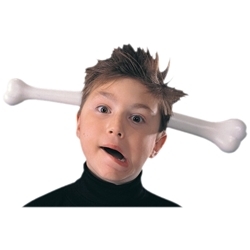 Bone Through Head Headband. Pre-historic version of arrow through head joke. Great for cavemen, witch doctors, Flintstones,etc.